Yuxuan Wang, CSE Graduate student, received an Ohio State University Presidential Fellowship, the most prestigious award given by the graduate school. Yuxuan is a PhD candidate working with Professor DeLiang Wang. 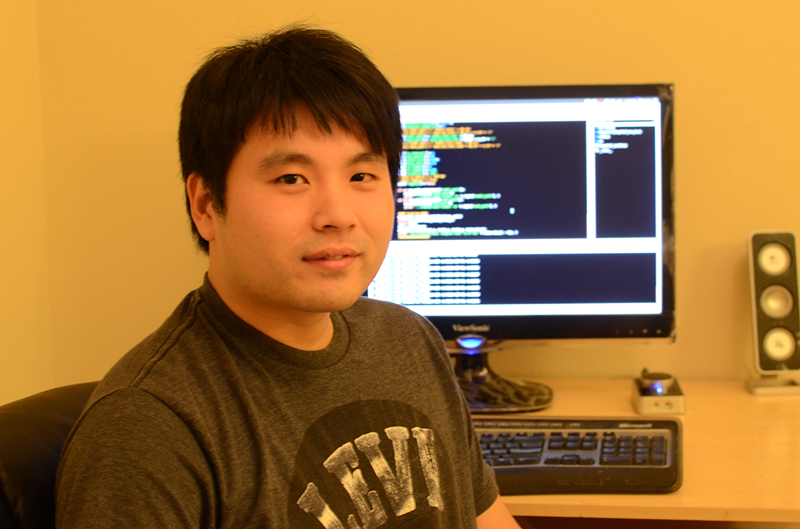 Yuxuan's work focuses on developing machine learning techniques applied to the speech separation problem, also known as the cocktail party problem. Additionally, Yuxuan is interested in robust automatic speech recognition and optimization. "Yuxuan's research accomplishments are remarkable, and he is largely responsible for developing a breakthrough algorithm that has produced the first ever demonstration of improved speech intelligibility for hearing impaired listeners in background noise," DeLiang Wang said. The goal of Yuxuan's research is to improve the performance of speech separation systems in adverse environments by integrating spectrotemporal structures of speech into learning algorithms. The fellowship will fund 12 months of his study towards the completion of a doctoral dissertation. Prior to joining Ohio State, Yuxuan earned an undergraduate degree in Network Engineering from Nanjing University of Posts and Telecommunications, China.